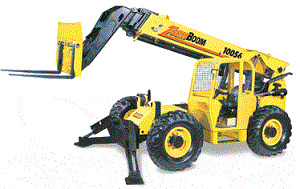 1651101 ZB10044 CareLift Forklift ZOOM BOOM ZB10044 - Spare parts catalog, Service manual. 1651102 ZB10055 CareLift Forklift ZOOM BOOM ZB 10055 - Spare parts catalog. 1651103 ZB10056 CareLift Forklift ZOOM BOOM ZB 10056 - Service manual. 1651104 ZB20032 CareLift Forklift ZOOM BOOM ZB 20032 - Spare parts catalog, Service manual. 1651105 ZB20044 CareLift Forklift ZOOM BOOM ZB 20044 - Spare parts catalog, Service manual. 1651106 ZB32032 CareLift Forklift ZOOM BOOM ZB 32032 - Spare parts catalog, Service manual. 1651107 ZB6037 CareLift Forklift ZOOM BOOM ZB 6037 - Spare parts catalog, Service manual. 1651108 ZB6042 CareLift Forklift ZOOM BOOM ZB 6042 - Spare parts catalog, Service manual. 1651109 ZB6044 CareLift Forklift ZOOM BOOM ZB 6044 - Spare parts catalog, Service manual. 1651110 ZB8040 CareLift Forklift ZOOM BOOM ZB 8040 - Spare parts catalog, Service manual. 1651111 ZB8044 CareLift Forklift ZOOM BOOM ZB 8044 - Spare parts catalog, Service manual.